Sony changes their minds a lot. They just do. Look at the saga with this PlayStation-inspired 3DTV bundle. 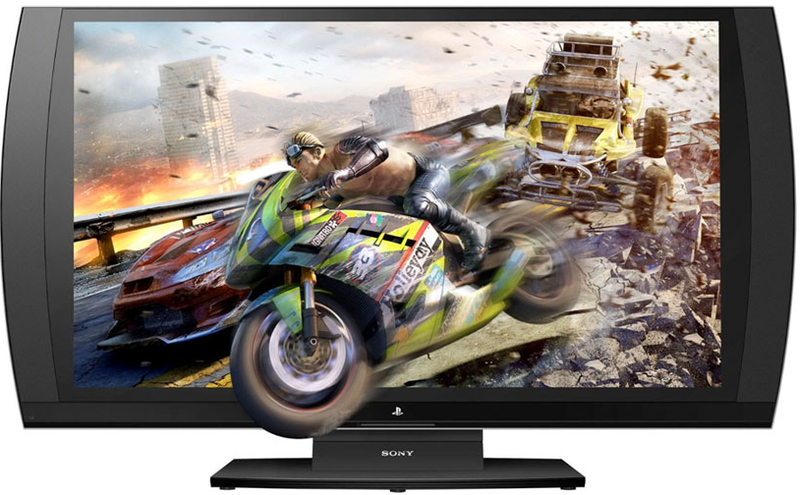 Announced at E3, the $500 bundle included a 24″ 3DTV, one pair of glasses, a HDMI cable, and Resistance 3. Cut to the beginning of August and that plan changed, first-person shooter Resistance replaced by racer Motorstorm Apocalypse. Retailer were not happy with that change, mostly because the $60 Resistance 3 was a slightly better deal than the $40 Motorstorm. So, they took it upon themselves to put Resistance in anyway. Now Sony is pitching back in saying that, yes, Resistance in back in the package… officially that is, but only if you pre-order. And yes, Motorstorm is still in there too, so you would be getting ar0ud $100 in games, $50 or so in glasses, $5 worth of HDMI cables, and a TV that in the scheme of things, runs $345. Not a terrible offer, although that is a pretty small set if it’s going to be a primary display. For a college dorm though? Score.